Are you considering purchasing a home in the historic Boston-Edison neighborhood? If you are, then we want you to have as much information as possible about the neighborhood. Boston-Edison is one of the most recognizable addresses in metro Detroit, and has been for over 100 years. 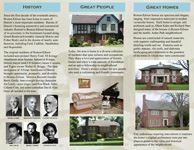 Today, the Boston Edison Historic District is a diverse community of interesting people living and loving their beautiful historic homes in the convenient heart of Detroit. If you want to be part of a great community, then we'd love to welcome you as a neighbor! If you're considering a move to Boston-Edison, then here's some information for you. 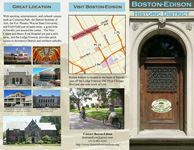 Learn about Boston-Edison: The more you know, the more you'll love it! Why move to Boston-Edison? Let us tell you why. Considering moving from a loft into a real neighborhood? Boston-Edison might be the perfect neighborhood for you. The Historic Boston-Edison Association is one of the oldest neighborhood associations in Detroit. HBEA puts on multiple events throughout the year. What's for sale in Boston-Edison? See what homes are available to move into now! What to think about before buying: Historic districts, taxes, zoning, and more. Find Boston Edison in the heart of Detroit, easily accessible from the major area freeways. Take a self-guided tour of the neighborhood while you're here. Schools: The schools serving the neighborhood. Are You a New neighbor? Welcome to the neighborhood!. Now that you're a neighbor, here are a few more things to think about. For a quick overview of the neighborhood, download the ultra-hi-res trifold brochure below. Click on the images to download (PDF).